Beyonce attends the D'USSE Cognac Cocktails Celebration at La Marina Restaurant Bar Beach Lounge. Celebrating the release of a new alcoholic beverage; right... But what does the actual product look like, some of you may ask? 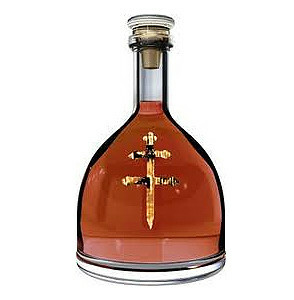 The cognac's decanter proudly sorts a large symbol of the Cross of Lorraine (also known as the patriarchal cross) - more commonly known as the double cross.